Formerly known as the Breck Fun Park, Breckenridge Ski Resort’s Peak 8 Base Camp debuts June 9 as the first portion of the revamped resort to open this summer. It’s all a part of the jaw-dropping Epic Discovery unveiling, a project many years in the works that introduces guests to interactive exploration zones, a climbing wall, zipline tour, challenge course and more. 1. The hype is real. Peak 8 Base Camp is the foundation of your Breckenridge summer bucket list. It’s where the action begins and families come together. 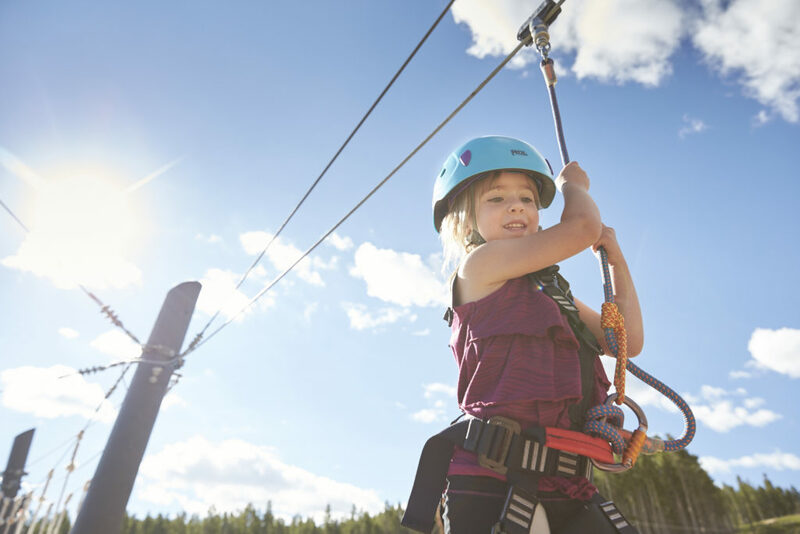 Hit the bungee trampoline, mineshaft maze and bounce house, get the little ones into Gold Rush mode with gemstone panning, and let the kids go big on the Lil’ Climber Ropes Course and Little Flyer Zipline. 2. Big thrills for big kids. By big kids we mean mom and dad, grandma and grandpa. 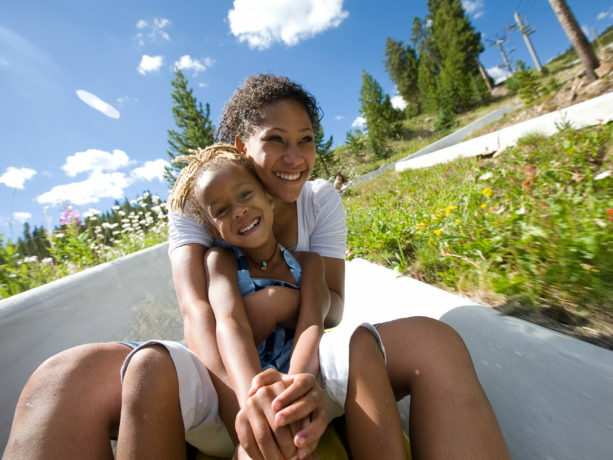 You’re never too old to fly down one of three 2,600-foot-long Alpine Slide courses or whip through a thick Rocky Mountain forest on the Gold Runner Coaster. After several years in the making, Breckenridge will unveil its Epic Discovery on-mountain experience. 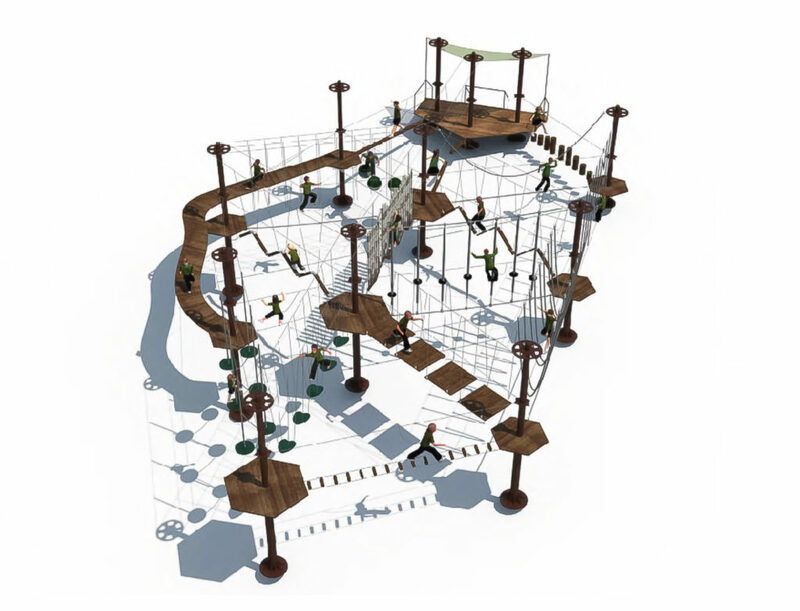 Four new immersive attractions roll out this summer: the Expedition Zipline Tour on Peak 7, Alpineer Challenge Course, an Interpretive Trail with Animal Abilities and Story Stakes (think photos, fun facts and interesting descriptions to connect with the surrounding environment); and a Gold Summit Climbing Wall. Between Peak 8 Base Camp and the new Epic Discovery offerings, there are a host of ways to pair fitness with fun. Put your balance and strength to the test on the Alpineer Challenge Course, where 15 features span a swaying log walk and ninja-like rope swings. The 40-foot-tall 16-route Gold Summit Climbing Wall invites beginners and advanced climbers to get vertical. The on-mountain dining at Breckenridge Ski Resort is perfect for refueling, leisurely scenic lunches and happy hours or as the main event. If you haven’t tried the Bloody Marys or the chopped brisket waffle fries at the TBar or the wood stone-fired gourmet calzones at Sevens, you’re in for a treat. 6. A gateway to Alpine Camp. Get your Peak 8 Base Camp fill and then hop on the Colorado SuperChair and soar to 11,000 feet. Take in famous Colorado peaks and explore Alpine Camp (scheduled to open mid July), home to the new interpretive hiking trails, Alpineer Challenge Course and Expedition Zipline Tour. 7. Giving back goes green. 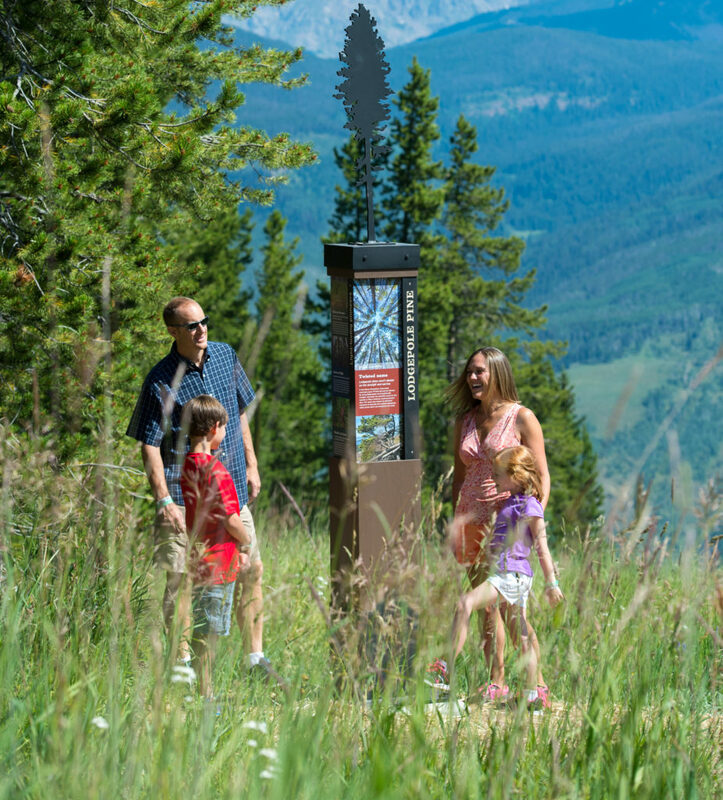 Under its new 1% For The Forest program, Vail Resorts will contribute one percent of all summer lift ticket and activity revenue to The Nature Conservancy. The non-profit is dedicated to forest restoration projects. 8. Get closer to nature. However you craft your Breck experience, you’ll be next to nature. Epic Discovery is built around zones that keep the natural beauty and environment front and center. Bonus: Kids learn. A lot. The “learn through play” format shines in story stakes showcasing local history, flora and fauna, and the animal ability experiences where guests can balance like a mountain goat and stride like a moose. Happy summer. Make it epic!